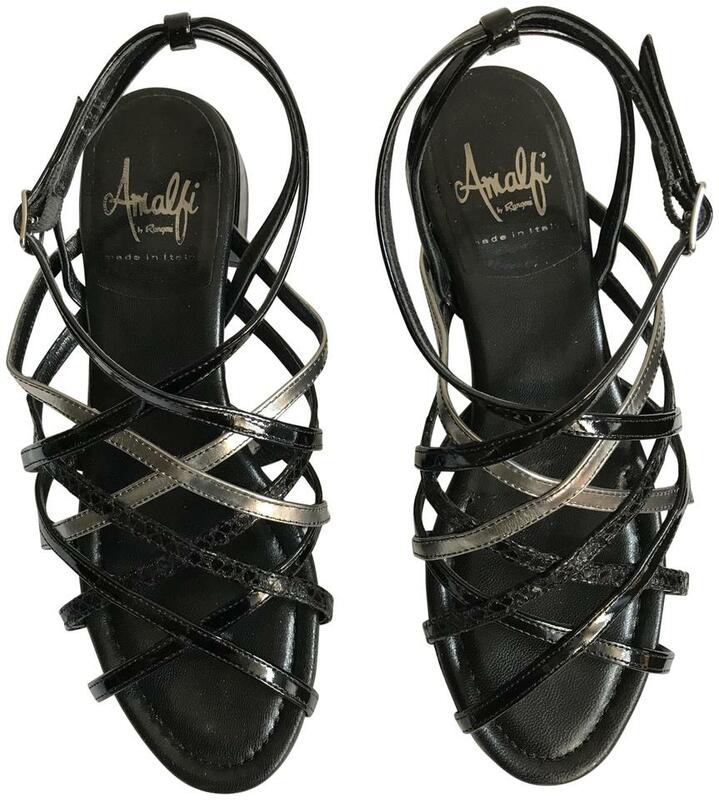 Amalfi Size 6 1/2 Black & Silver Leather Sandals. 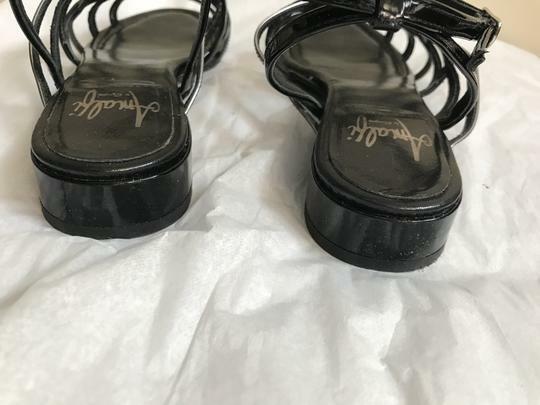 Almost new condition. 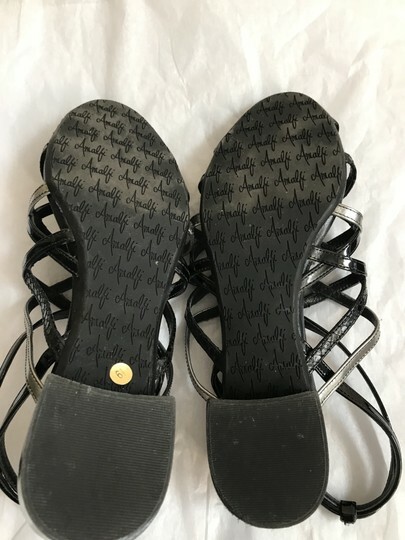 Rubber bottom, comfortable wear. Low flat heel for easy comfort.